City of Boulder Open Space and Mountain Parks is hiring a Landscape Architect II. Posting closes July 9th at 5pm. This position assists in the development of design and construction priorities, workplan schedules, project implementation and staffing requirements. The person in this position will develop, organize and coordinate a team approach to design and construction projects. APPLY HERE. Arapahoe County Government is seeking a part-time Horticulture Assistant. The person will have knowledge of volunteer management and a proven track record in working well with people, coordinating volunteers and/or managing volunteer programs, horticulture and related subject matter, event management, database management and organizational skills. Go to their website to APPLY. Volunteers for Outdoor Colorado (VOC) invites you to their New Volunteer Leader Open House & Info Session on Thursday, July 13th. Join for a fun and informational evening at the Denver office to speak with VOC Staff and Volunteer Leaders about the variety of exciting volunteer leadership opportunities available with VOC. Whether you want to lead volunteer crews, put your love of good food to use, manage tools or help with logistics, they'll help you find just the right spot to shine. To apply click HERE. The Colorado State Forest Service is hiring for: Permanent Good Neighbor Assistant District Forester (ADF) positions located in Durango, Grand Junction and Gunnison, Colorado. These positions will be the lead for the Good Neighbor Authority projects on the districts and a permanent Assistant District Forester (ADF) positions in Franktown and Montrose, Colorado. Click HERE to apply. Colorado Water Trust is seeking an Executive Director with a high degree of energy, integrity and creativity as well as the analytical, organizational and personal qualities that will garner respect and cooperation from its community partners and other stakeholders. Colorado Water Trust’s mission is to restore flows to Colorado’s rivers in need. They do this by working with willing participants, providing the funds, support, and technical and legal expertise required to put water back in Colorado’s dry rivers. The ideal candidate will (among other things) bring a passion for Western water and healthy rivers, have significant leadership and management experience, and be ready to engage in fundraising. Deadline for applications is Friday, June 30, 2017. 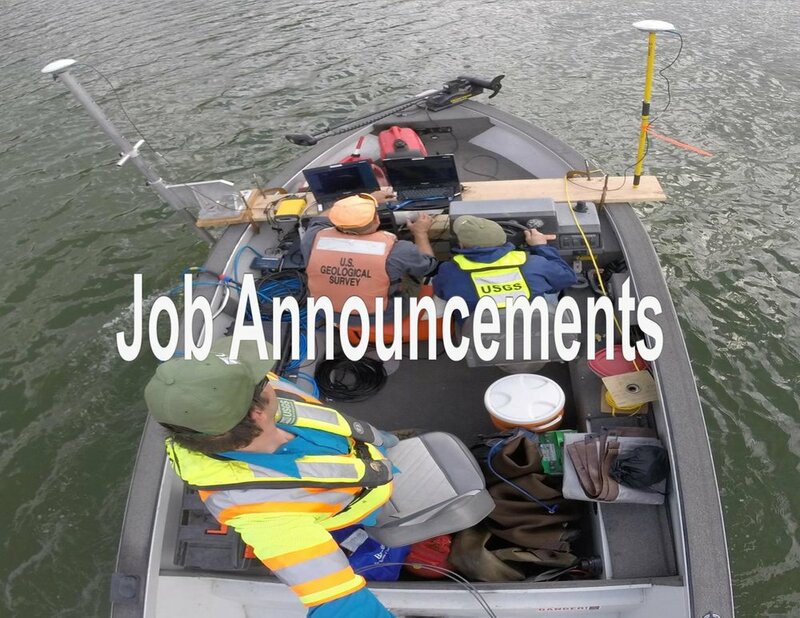 For a complete job announcement, including how to apply, please visit www.coloradowatertrust.org. Jefferson County is currently hiring an Administration & Real Estate Manager with a strong background in annual budget development and administration of related financial planning strategies. This position will play an integral role in maintaining, administering, and coordinating the budget process of the five operating teams and three other Divisions of the Parks Department. This includes forecasting annual Open Space sales tax and all applicable revenue sources, grants program funding, capital projects and operation. Apply HERE. Volunteers for Outdoor Colorado has a new opening for the role of Seasonal Project Manager. They’re looking to hire someone ASAP to help manage their 2017 volunteer outdoor stewardship project season. This is a full-time, term-limited position located in Denver, CO. The Seasonal Project Manager works with the VOC program team to provide professional project management, logistical support and volunteer leadership coordination on VOC volunteer projects administratively and in the field. To view the full description and apply, head to http://www.voc.org/join-our-team. The Alliance for Sustainable Colorado is seeking qualified candidates for the position of Communications Coordinator. This a full time, exempt position with benefits. The position will be based in the heart of downtown Denver at the Alliance Center. The Communications Coordinator supports the Alliance's mission to be the hub of the sustainability movement in Colorado. The Alliance for Sustainable Colorado is a non-profit focused on providing the space for organizations focused on sustainability issues to collaborate and inspire one another. To review job details and apply, visit their website. The Policy and Planning Section at Colorado Parks and Wildlife is seeking a temporary Policy and Planning Assistant (40 hrs/week with a 9-month term) to help with a variety of high priority planning, policy, and public involvement projects. Primary duties include information and data collection and analysis; supporting public involvement, policy, and planning activities; preparing meeting materials, memos, or sections of documents related to a wide variety of state park, wildlife, outdoor recreation, and natural resource issues; and assisting with administrative tasks and other general office duties as assigned. To apply visit their website. The Colorado River District, based in Glenwood Springs, Colorado, is seeking candidates for the General Manager position. The General Manager serves as the chief executive and management official of the organization reporting directly to the District’s 15 member Board of Directors. The General Manager is responsible for all business operations (administrative, financial, technical and external affairs) and manages a team of professionals. The Manager must be able to work and negotiate with other stakeholders throughout Colorado and other Colorado River basin state. To apply go to their website.